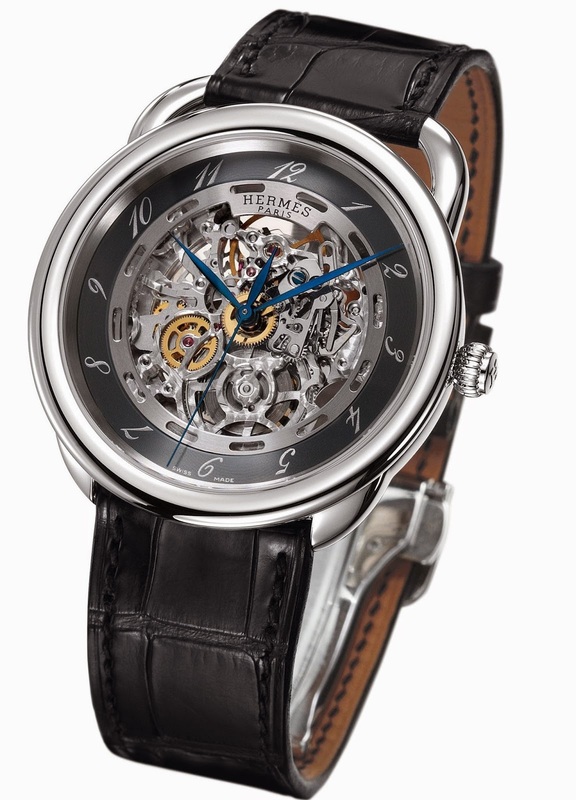 Hermès presents a new timepiece that reveals the oscillations at its heart, the beating of its movement: the Arceau Skeleton watch. A round case extended by a steel stirrup: therein lies the very essence of the Arceau collection, inspired by the origins of the company itself, the equestrian world. The Arceau Skeleton’s two sapphire crystals reveal the beating heart of the mechanism within: blued hands and large seconds hand, openworked bridges and mainplate, polished gear wheels and a skeletonised oscillating weight reproducing the Hermès signature. 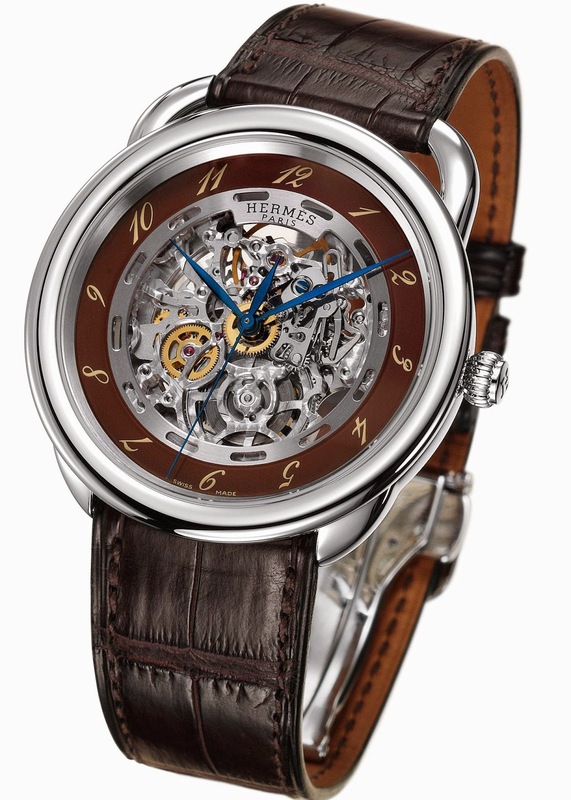 Against this exquisite mechanical backdrop, tiny arabesque numerals appear to be dancing around the rim of the brown or slate-grey dial. In its characteristic, understated manner, the Arceau collection thus offers an elegant and refined interpretation of the Skeleton watch. Mechanical precision blends with the simplicity of steel and the sensuality of a havana or black alligator leather strap.